Meet Eyerusalem, a 5th Grader with Big Dreams! 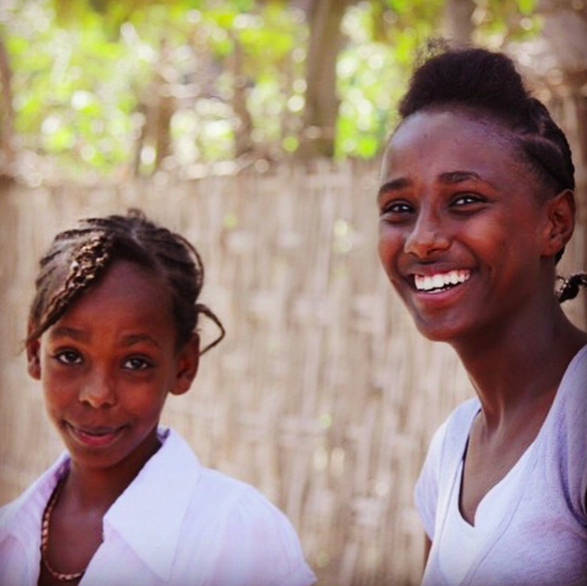 Girls like Eyerusalem and her sister, Birtukan, are the future of Ethiopia. When you donate to Roots Ethiopia this year, you give many girls just like these two a chance to be forces for change — in their families, in their schools, and in their communities. Girls in Ethiopia dream of being doctors, engineers, nurses, and businesswomen. Your support of Roots Ethiopia helps children connect their dreams with the reality of school! We are confident this duo can do it, provided they have continued support and encouragement. Their mom is doing everything she can, and Roots Ethiopia has provided that extra layer of support for her youngest daughter. Girls and boys come to Roots Ethiopia for assistance — for uniforms, book-bags, supplies, medical needs, and monthly food for family health and welfare. If private schools are available locally, their sponsorships provide monthly tuition. This is the support that YOU make possible. We are so very grateful for your compassionate care of school children. Our team had the pleasure of meeting these sisters last week in Bonosha, and they are dreaming big and working hard. Your support keeps their keen eyes on their futures. Previous Previous post: Did you know coffee can change a life? Next Next post: What Causes Gender Inequality at Rural Ethiopian Schools?